Dogs love to eat, and anything you put in front of them will be gone within seconds, but sometimes they can be allergic to certain foods. Dogs don't know what allergies are and just know that the food they eat is tasty so it is our responsibility as the parents to notice if our furry friends have dog food allergy symptoms. These symptoms are not the only things that can happen but they are common visible signs that your dog may be having an allergic reaction to food. 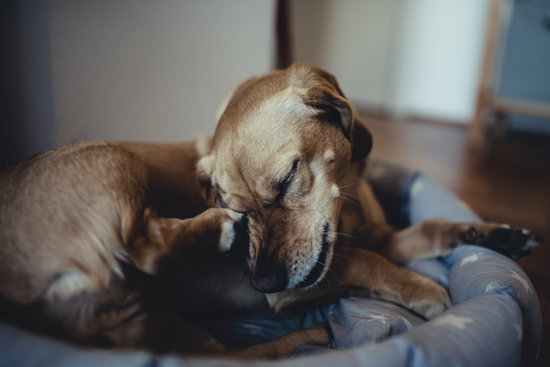 One symptom could be an infection in your dog's ear, this leads to itching or even pain that can be an extreme annoyance for your pet. Dogs who deal with this often shake their head or scratch at their ears constantly. They have also been seen attempting to groom themselves more frequent than usual. If you notice these behaviors check your dog's ears, If there is a build up inside that is a brownish color it is a buildup of yeast that is a side effect of ear infections caused by dog food allergies. Along with this there may be an odor associated with this that may be your signal to get them checked. 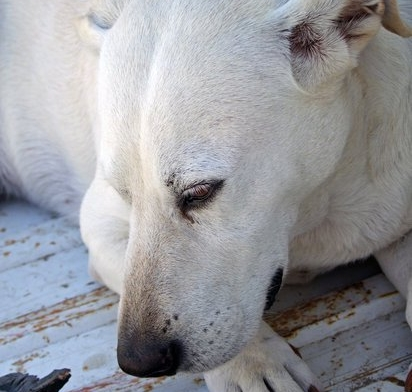 Luckily because it is so common there are plenty of ways to help your dog's itchy skin. 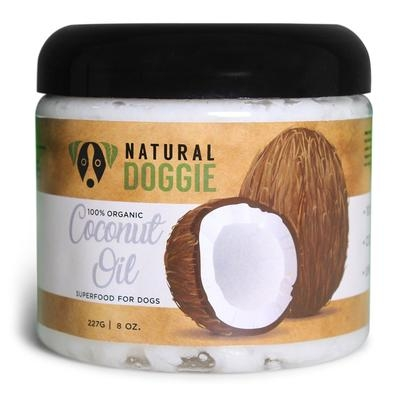 Some of our favorites are Coconut oil and Salmon oil. 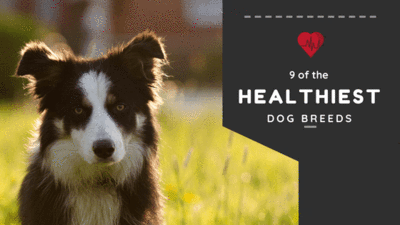 Both of these natural remedies have additional benefits that help boost your dog's skin and health problems. Some situations involving food allergies include the discoloration of certain areas, this can be due to many different reactions in the body causing these signs. 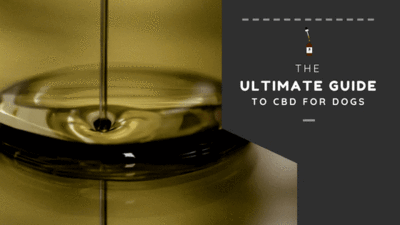 This is associated with either itching or a pain of some sort that is pinpointed to that certain area. This can lead to an uncomfortable time in your dog's lifestyle. Some common places this may appear are in the stomach region, the inside of the ears, the mouth, and even your dogs nails. Many of these will appear to be blushed and red compared to their normal states. The nails will be anything from red to a brownish color and be apparent near the base where it connects to the paw. This can be a tricky symptom to solve and will ultimately go away as the food allergen is solved. 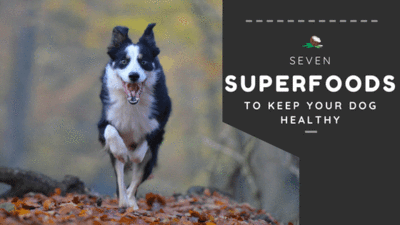 Some situations may require the vet to be involved and this can be a scary symptom as it could be associated with internal swelling. If you notice this symptom make sure to monitor your dog to keep them safe. 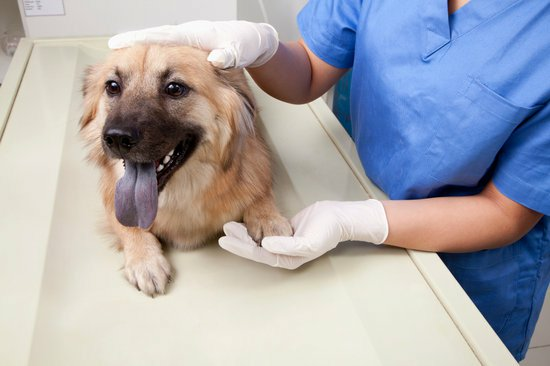 The last symptom I will cover is a runny nose or tears, this can be a reaction to a dog food allergy and can be a sign that they may have other discomforts. Tears are easily noticeable and will often leave stains around the eyes of a dog. Runny noses are less visible but still able to be seen, You may also get some snot on you if they get too close. Though not as worrisome as some of the other dog food allergy symptoms this can still be irritating to dogs. They will have itchy eyes and nose and will be seen trying to itch these spots. Your veterinarian may be able to prescribe some sort of medication to help ease discomfort and itching. There is really only one thing to do to stop this from happening and this is to find the root cause of your furry friends allergies. This can be done in multiple different ways and even at home in some cases. The recommended method is to visit your veterinarian where they can do tests to pinpoint the exact allergy your dog might be facing. Another method is to take away certain ingredients until your dog is symptom free and then avoid whatever that food was. 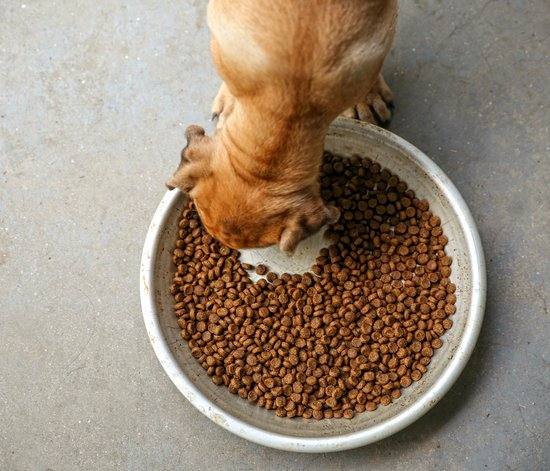 No matter what, it is important to get to the bottom of whatever may be causing these common dog food allergy symptoms. If not your dog may be facing problems that will only get worse and can lead to worse injuries. Dog food allergies can be an easy fix and it will make a world of difference to your furry friend, make sure to look for any signs of distress before it worsens. If you found this helpful share it with your friends so they can know what to look for when dealing with dog food allergy symptoms.